Do you ever pity your suitcase? Poor thing. You jam it full and sit on it, ooching the zipper shut and weighing it 9 times before the scale reaches not one ounce less than 50lbs, all the while hoping it does not split at the seams en route. Needless to say, practical packing is a great skill to acquire. So lets explore some space saving, travel friendly, versatile vacation wear to bring on your next getaway. We should adopt a travel appropriate principle: Less is more. Wearing things twice is no faux pas, though I am not necessarily suggesting wearing the exact same outfit twice. So be creative in pairing different tops with bottoms and creating various looks with the same elements. Roll up your sleeves and loosen a few buttons for lunch and then tighten up the same shirt and throw on a soft shouldered sportcoat for dinner the next night. 2. Flipster 1/4 Zip– Perfect for traveling. Two tops for the space of one. A great item to wear on the plane. 3. 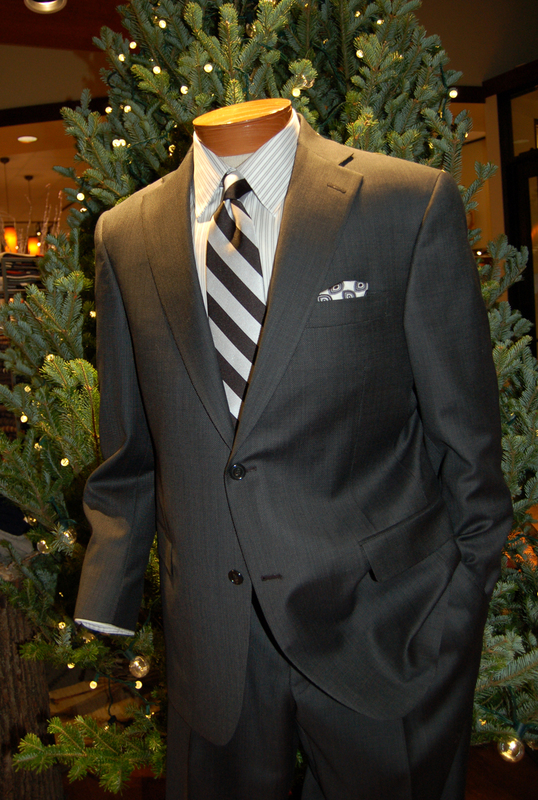 Linen Suit – Buy the coat and pants separate or the whole shebang. 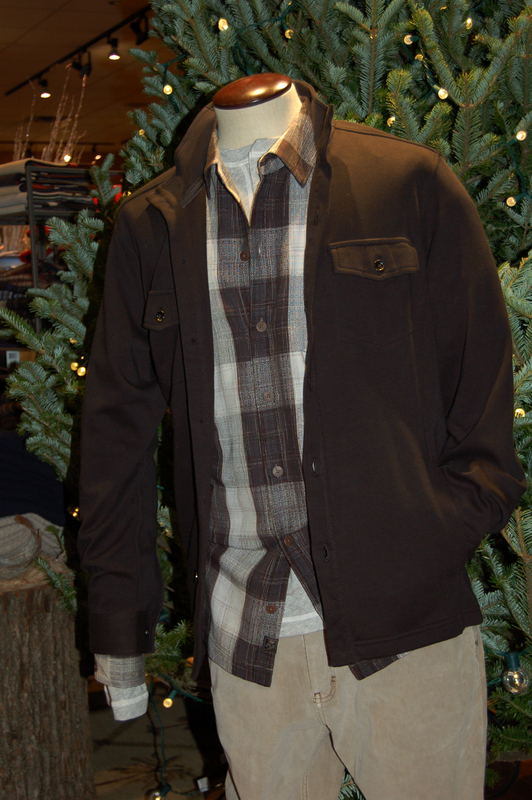 Pair the coat with denim or colored chinos for a different look. 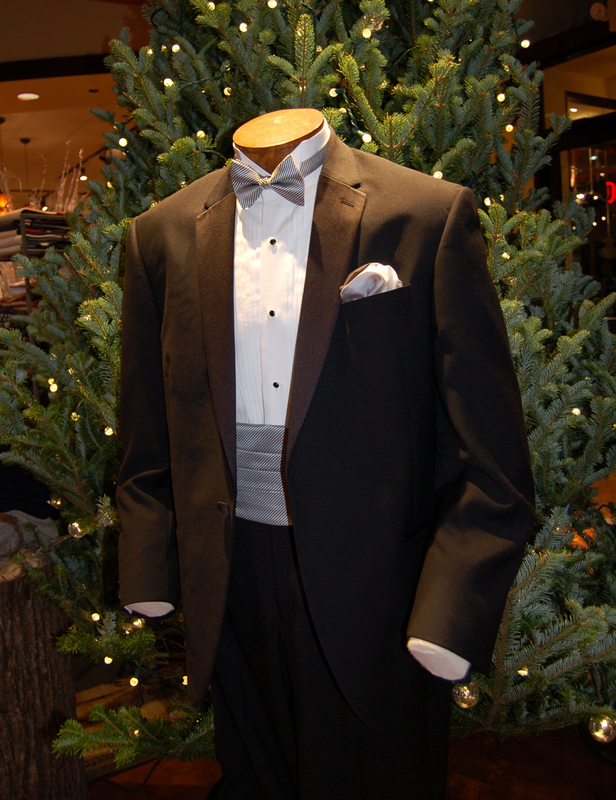 You’ll fit in at any restaurant in this perfect cross between casual and formal. 4. Linen Plaid Shorts in Haze – Breathable, sophisticated, casual. Buy linen in every shape and form. 5. 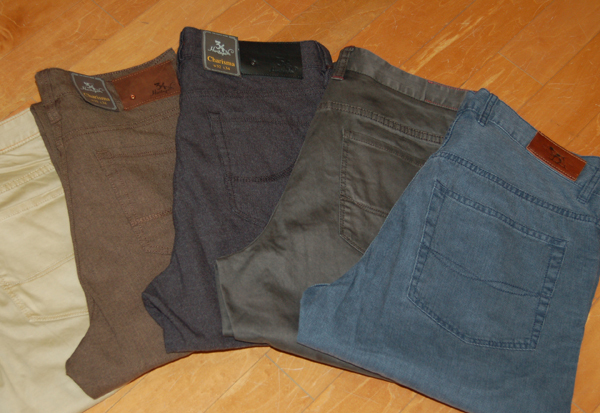 Five pocket pants in Light Sand- Half linen and cotton, textural, versatile, casual. New this season! 1. Eyebobs Reading Glasses- Current, funky, and come with a durable travel case. Freshen your look. 2. 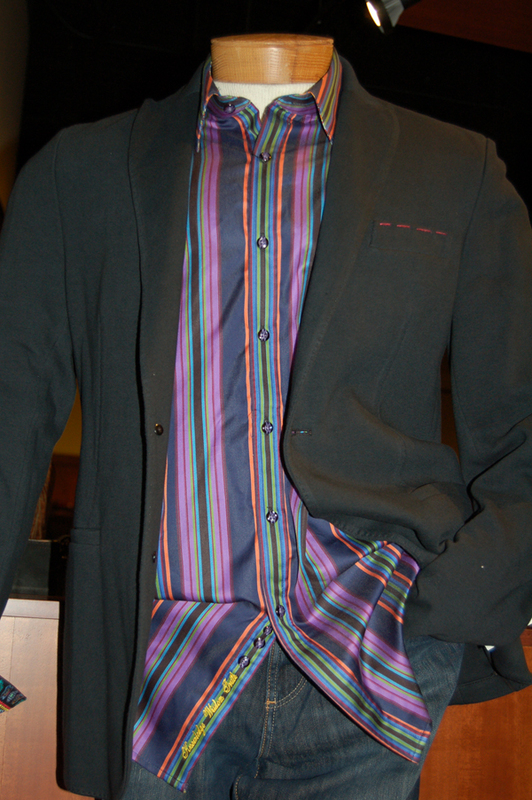 Robert Graham Shirts – Your after 9 shirt, unbutton the top two and show off the details and fashion. 3. 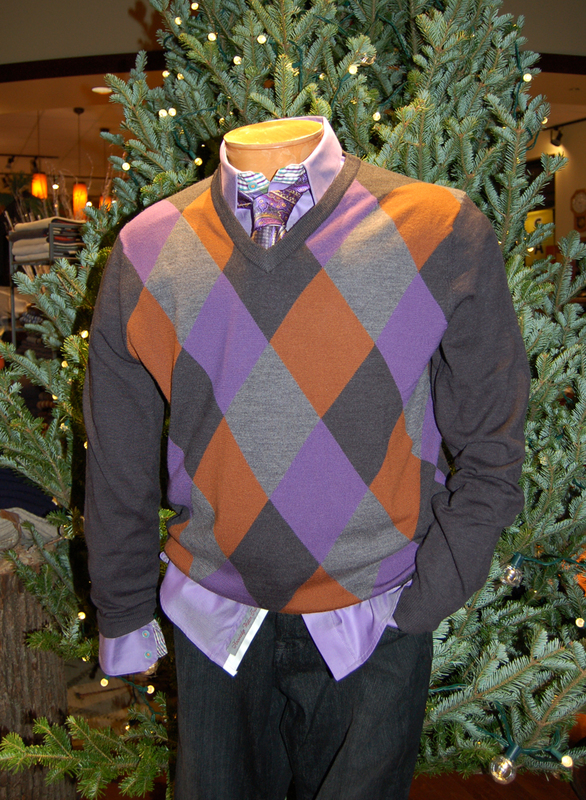 St. Croix Cotton Pullover – A classic sweater with a beautiful color palette to choose from. 4. 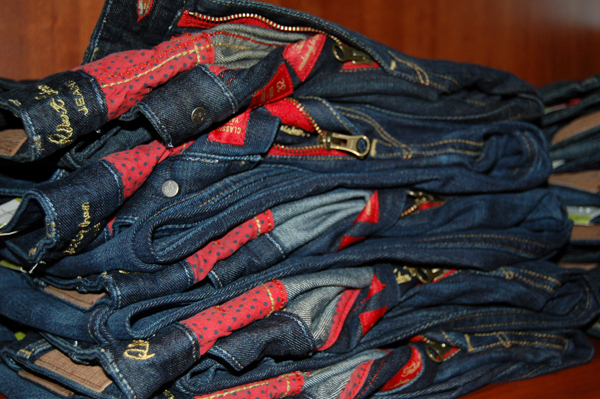 34 Heritage Denim – Stretch, comfort, and slimming effects, the best pants to wear on the plane. 5. 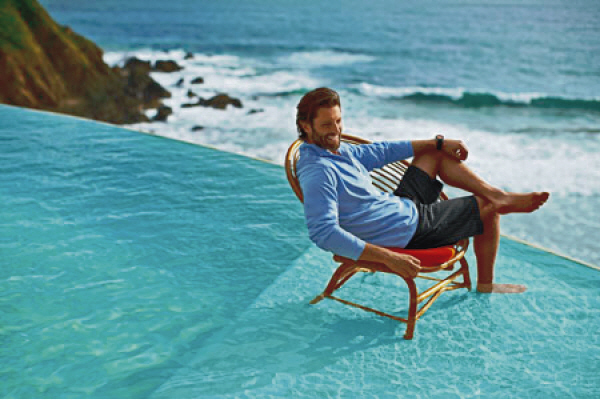 Southern Tide – The Skipjack Polo is the best, most comfortable classic polo ever made. This fun, colorful brand is new at The Foursome this spring and flying off the shelves. 1. 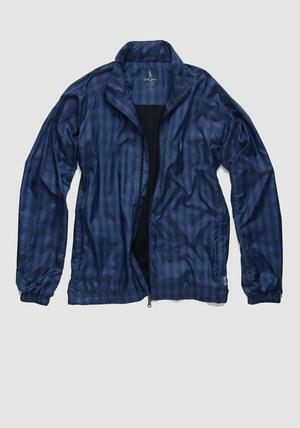 Bobby Jones Full Zip Plaid Nylon Jacket – So light weight it could fit in your pocket. Perfect for travel, course, and club. 2. 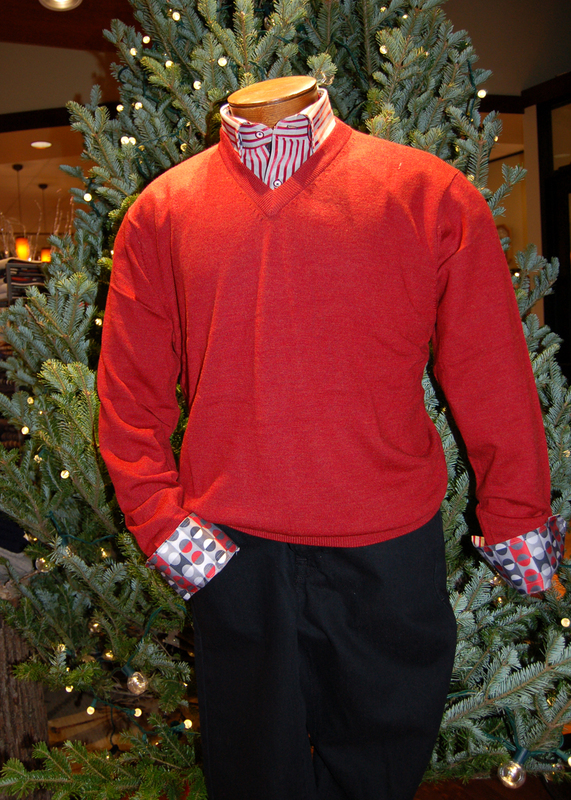 Bobby Jones Polo- Mini stripe with solid contrasting collar. Thin and lightweight. 3. Cutter & Buck Polos – Thinner than paper, your skin and suitcase will thank you. May your packing be light, your journey adventurous, and your vacation as free as the wind. Soak up the sun and Bon Voyage! There seems to be a surprise under every cuff these days. Pattern next to pattern, contrasting colors, interesting combinations of textiles within one item of clothing. Often, the extra attention given to these garments is only seen by the wearer. But the great thing is that you can hide or expose these elements depending on your preference or mood. We are seeing this sort of thing in nearly every brand. 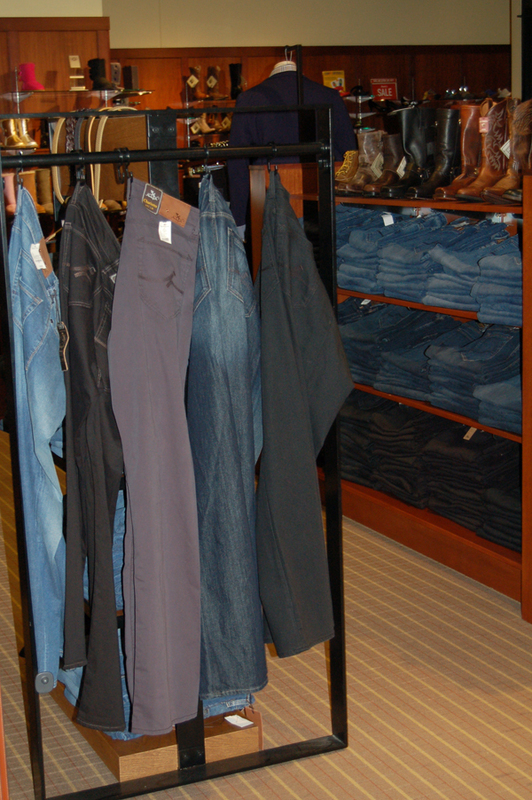 It is evident that incorporating tasteful components into each garment is important in men’s fashion. One benefit to these extra snippets of fabric here and there is that you get versatility. The average woven shirt now has a personality switch. 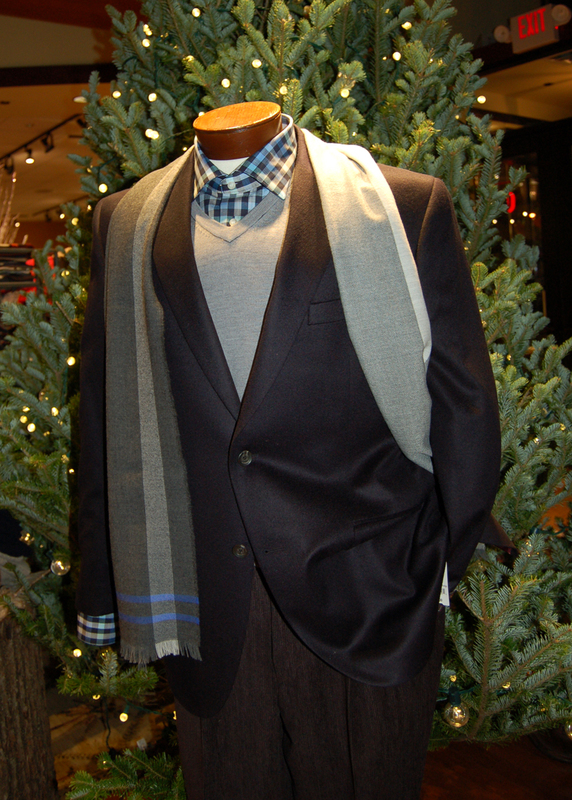 Roll your cuff or unbutton your collar as you leave the office and you have a new look for happy hour. Need a shirt for date night? Loosen the sleeve and your garment becomes artful. Its simple and inspiring. Robert Graham shirts are known for their distinct details. Bold stitchwork, embroidered fabrics paired with stripes, square buttons, bright thread throughout. You can hardly define the designs as subtle. However, they remain sophisticated and brilliant. The details define the brand. 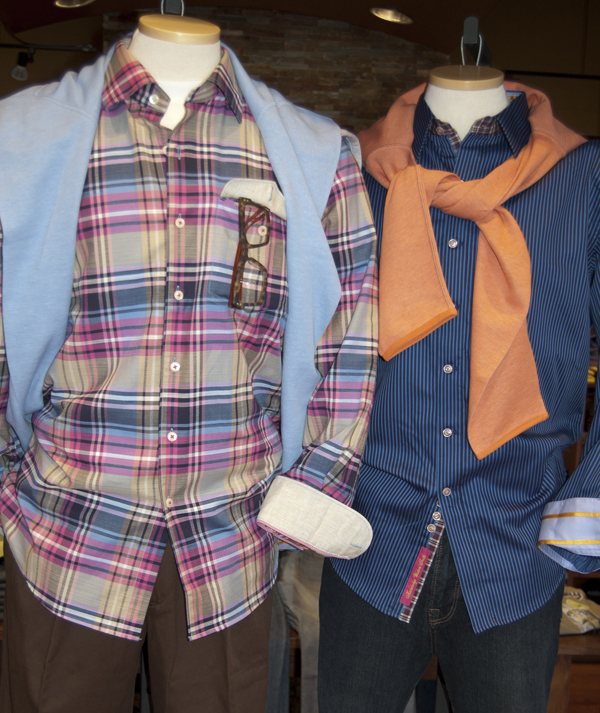 Similar in flavor, yet not quite as spicy, are our Bugatchi and Visconti shirts from Italy. Unique design work is often found hidden along the button holes, so when the top two buttons are left open the beautiful detail is seen next to the crisp exterior fabric. Purely striking. Alex Cannon adds suede piping along the edges of their knitwear and also offers a variety of shirts with contrasting fabric details. 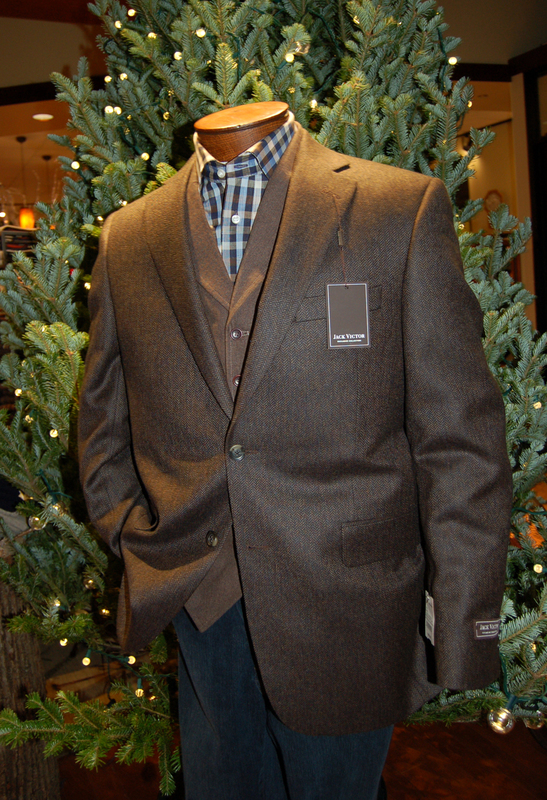 Bills Khakis incorporates plaids and ticking fabrics to the interior parts of their deep pocketed pants. Not visible to the onlooker but definitely worth seeing when you get dressed in the morning. St. Croix gives you a reason to respect their high fashion brand by choosing incredible metal zippers, hardware, and buttons. This season we are seeing leather mixed with knitwear, along with other surprisingly beautiful combinations. One cannot forget Tommy Bahama. I am continually amazed at their attention to detail. Every shipment seems to outdo the last. We are seeing many reversible pieces, giving you two for the price of one. 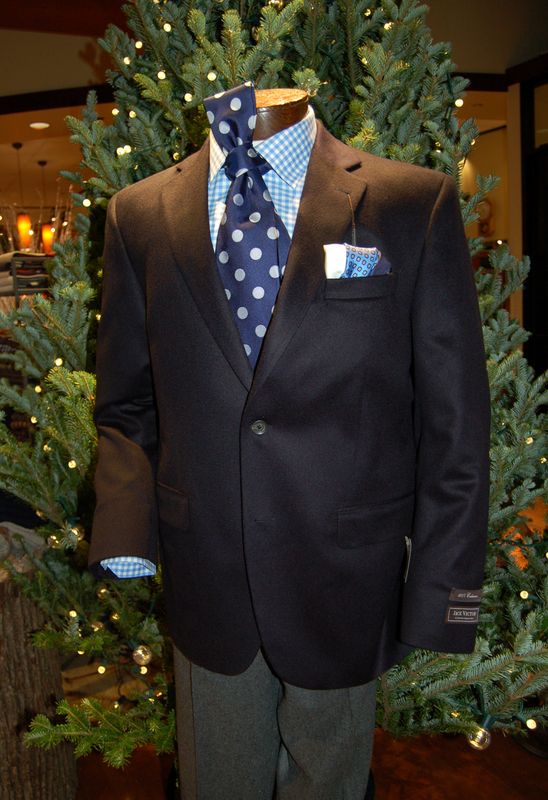 More than one style of button is sometimes matched with a particular shirt. Serged hemlines, intentional unfinished edges, small patches of fabric along the sides. . . It is obvious this brand believes that little things make a big difference. Fabulous Fall Colors. 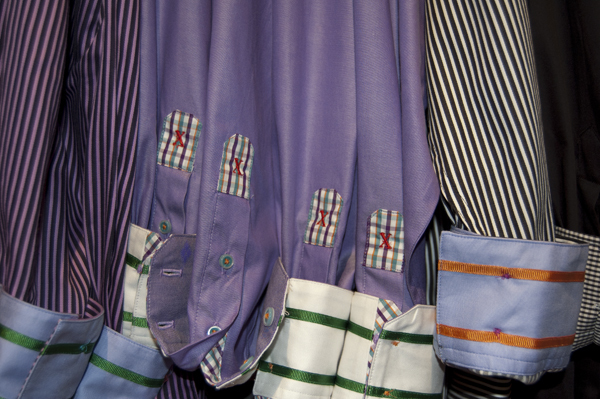 We love the interesting details and contrasting textiles in these fashionable woven shirts by Robert Graham. Fresh New Brands. 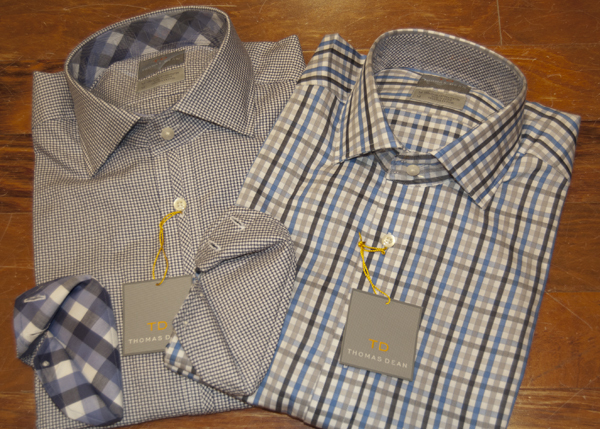 Everyone is talking about these sophisticated new shirts by Thomas Dean, brand new this fall at The Foursome. Fantastic Ensembles. 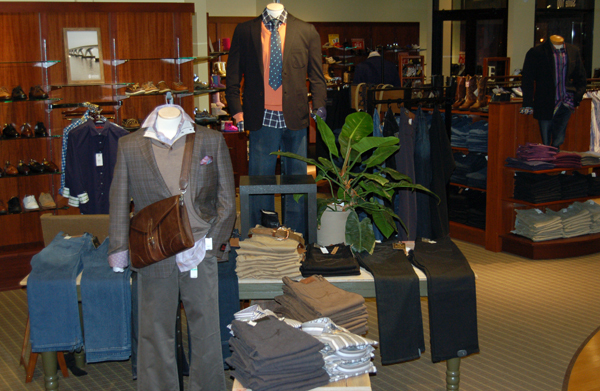 Mix and match your favorite brands like Tommy Bahama, Polo, and 34 Heritage to create electric looks for work or play. Fashionable Colored Pants. 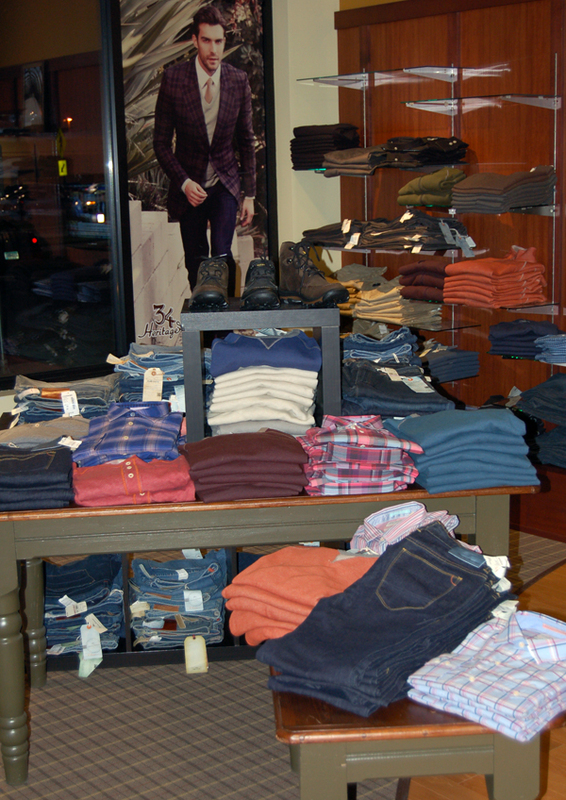 For the hometown guy, we have new colored khakis and rustic plaid shirts by Bill’s Khakis. Made here in the USA. Fabulous Outerwear. Casual tees, sweaters, and jackets from The North Face. A great value and strikingly cool.